Exec = Executive Line: Ready to Run, super detailed, numbered, with DCC and Sound or Analog (DC). DCC and Sound version features LokSound Select decoder. Analog (DC) version has 21 pin socket for DCC module. Bowser does not recommend LOK sound locos for use on DC layouts. 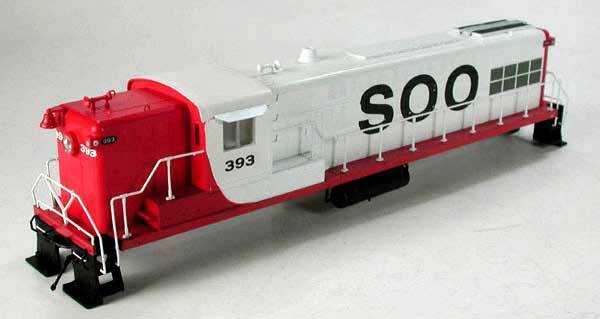 No Sound Retro Fit Kit for this loco. If you have a Stewart or early Bowser-Stewart Baldwin 6 Axle loco with Commonwealth Trucks and are changing to DCC or DCC & Sound this is an important kit. The 3 axle pickup will help keep constant contact with the track. 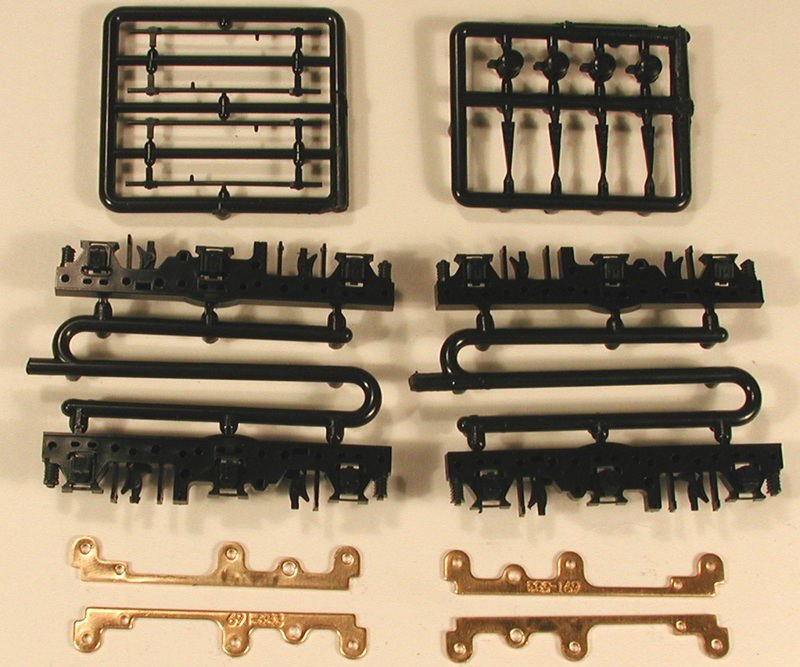 The plastic parts are paintable and can be glued with any liquid plastic cement. Assembly note: Remove the bottom clip first before you disassemble and install bottom clip last when you put the new side frames in place.